According to the report “EU agricultural outlook for markets and income, 2018-2030”, “EU production of fresh tomatoes is expected to remain relatively stable despite increasing yields as producers expand the production seasons. On the other hand, the value of production is likely to continue rising as greater product segmentation adds value. Consumption of fresh tomatoes is expected to go down slightly, while consumption of processed tomatoes is expected to marginally grow”. “With regard to processed tomatoes, the production is expected to slightly increase during the outlook period (+0.7 % per year until 2030 to 11 million tonnes). Growth will mainly be driven by increasing yields, particularly in the main producing countries. It is likely that the EU’s strong share on the world market will be sustained although with some adjustments of supply and demand. The report of the European Commission also explains that “Extra-EU trade in processed tomatoes is stronger than for fresh tomatoes, the latter being more perishable than the first. It is expected that EU exports of processed tomatoes will continue increasing by 1 % per year up to 2.7 million tonnes in 2030. 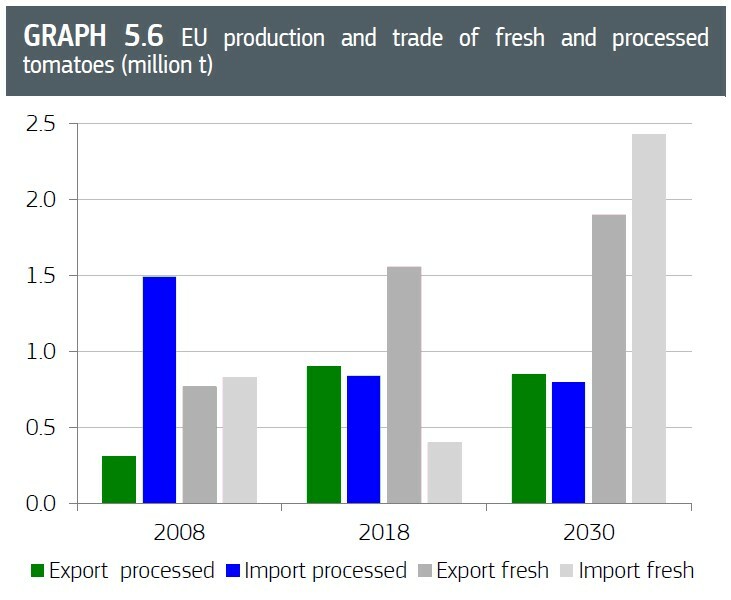 EU imports of processed tomatoes are also expected to grow albeit at a slower pace (+0.7 % per year, compared to +1 % per year over the last decade), up to 2.6 million tonnes in 2030. While there is decreasing domestic demand for tomato concentrate (tomato paste, editorial note) which is being replaced by domestic tomato pulp and peeled tomatoes, the demand for the latter type of prepared or preserved tomatoes is projected to increase in the EU and also worldwide. 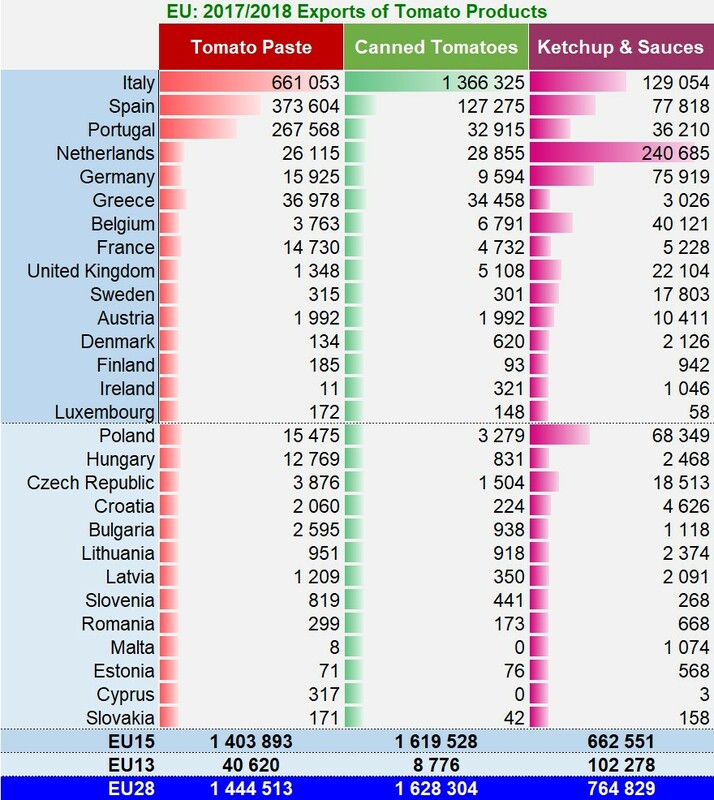 According to IHS data, sourced from national customs services, the EU28 total exports of tomato products in 2017/2018 amounted to 1.44 million mT of tomato paste, 1.63 million mT of canned tomatoes and 0.765 million mT of tomato sauces and ketchup. Raw material equivalent of exports is estimated at 13.63 million mT. Total imports amounted to 1.2 million mT of tomato paste, 1.07 million mT of canned tomatoes and 0.76 million of tomato sauces and ketchup. Raw material equivalent of imports is estimated at 11.53 million mT. 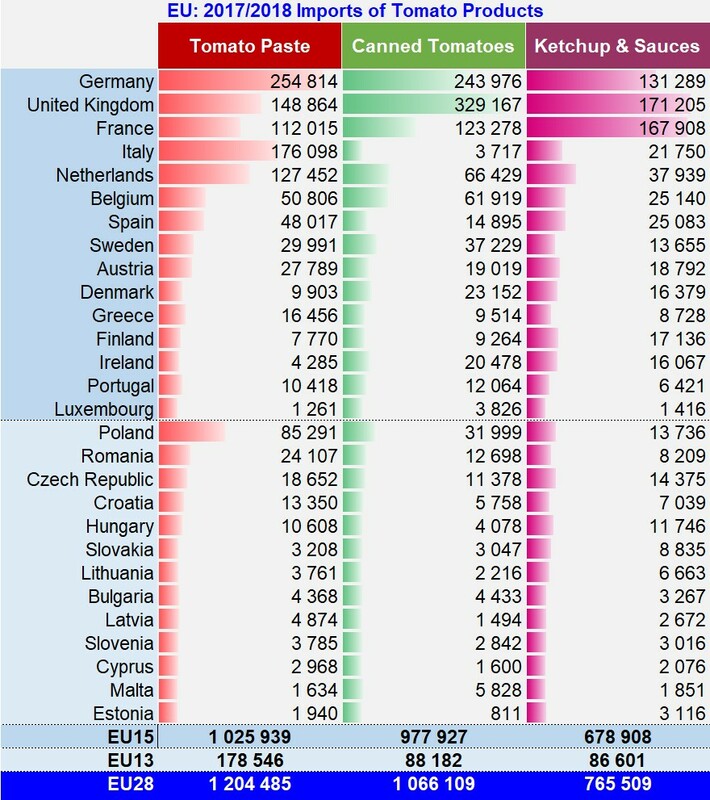 These latest values show that the EU is already (for many years) a leading net exporter of tomato products. A detailed comment of these figures will be released shortly on our website. 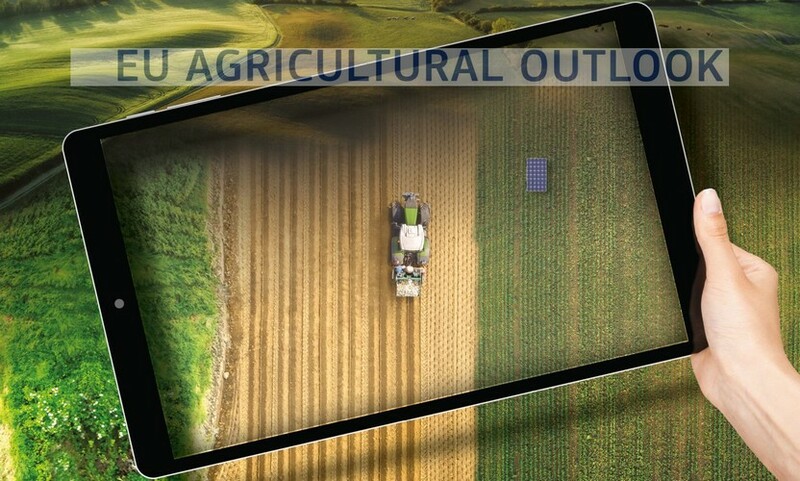 Source: EC (2018), EU agricultural outlook for markets and income, 2018-2030. European Commission, DG Agriculture and Rural Development, Brussels.